I wanted an ~8 hour layover in Amsterdam so I booked a flight on the 757-200 as opposed to American Airlines’s flagship 777-300. The downgrade in quality was stark. I flew from Philadelphia to Amsterdam, approximately a 7.5 hour flight. The 757-200 is a narrow-body aircraft with a single aisle and 3-3 seat configuration. The main cabin is a 3-3 configuration. 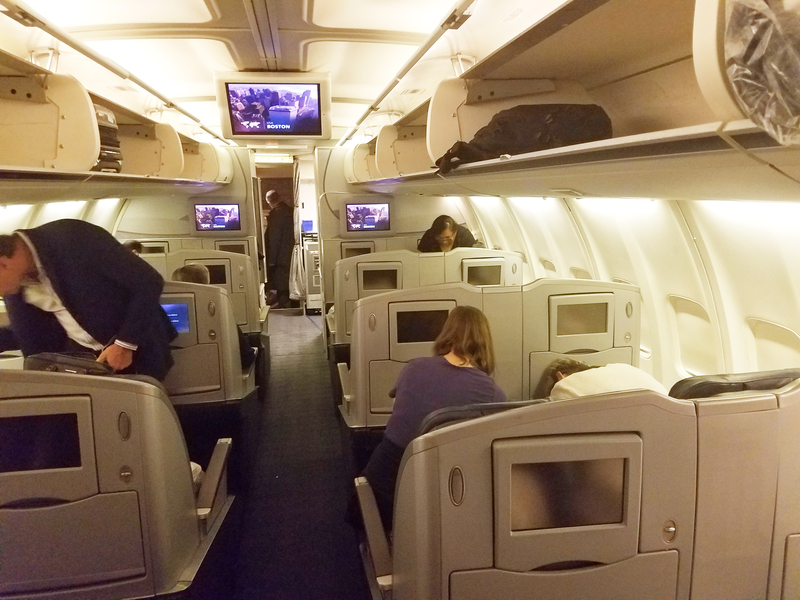 The business class cabin is a 2-2 configuration. I sat in seat 9C which was the aisle seat in the first row of economy. 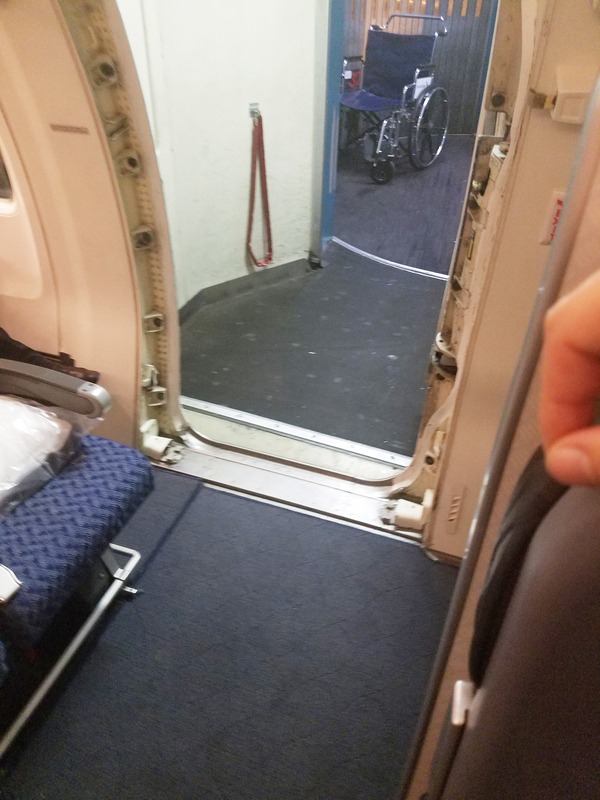 I did not realize we would board through the door next to my seat, so I had to stand during the entire boarding process (~35 min). If I did not need overhead bin space, I would have boarded later. There was not enough space for me to remain seated during the boarding process. My seat was on the left. Note the power plug. It was apparently working (green light) at this moment. 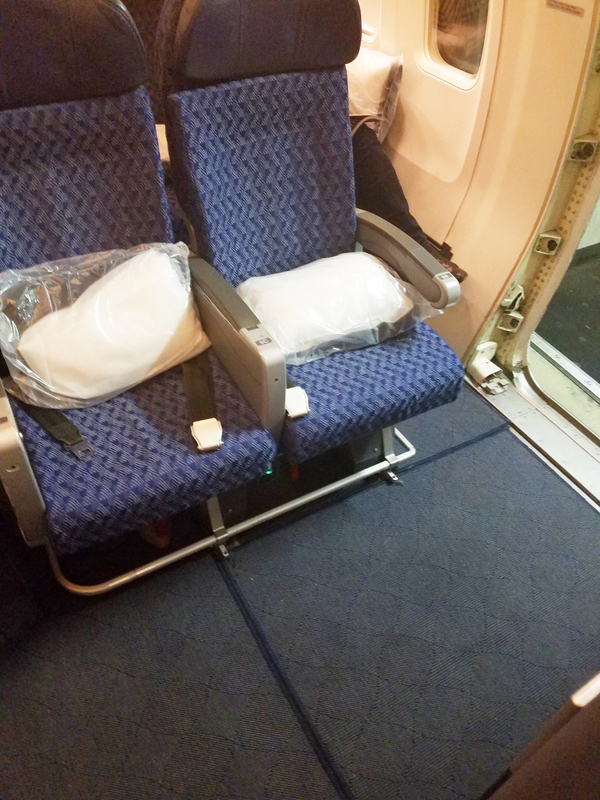 The seats were ok–I was able to sleep for about 4 hours. The recline was more than I’ve come to expect and the headrest was adjustable to the point where it almost cradled my head. 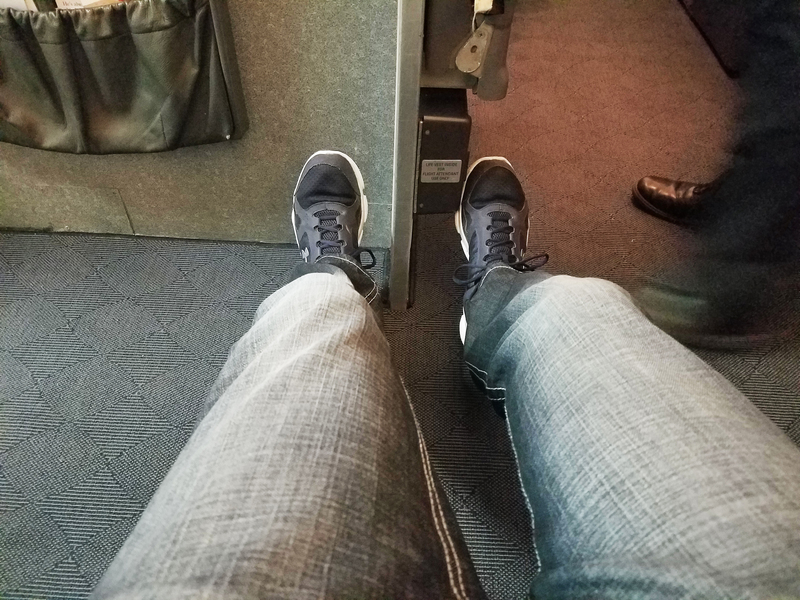 The legroom was amazing! I’ve over 6′ tall and I could almost fully stretch my legs. BRING YOUR OWN. Each set of three seats has two 110v AC plugs, but the plug at my seat only worked intermittently. If you’re in the first row of economy, there is only one plug for the two seats. 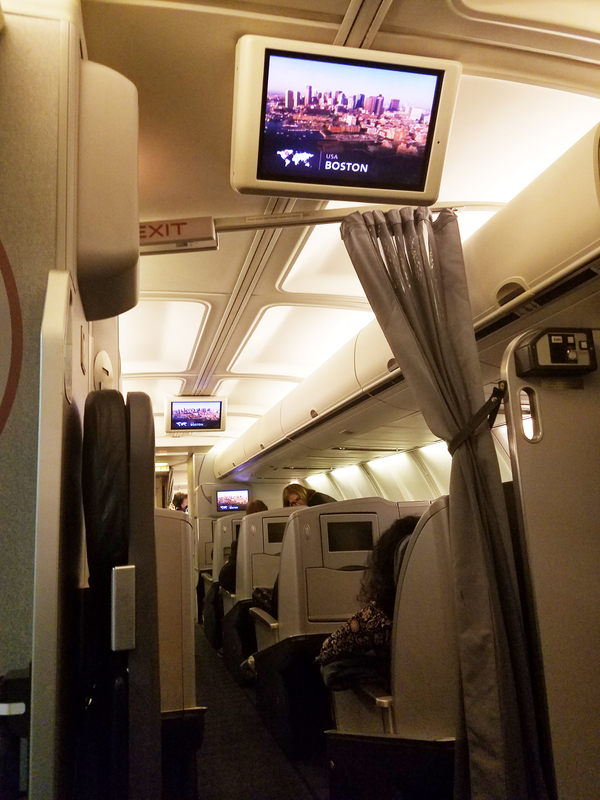 There were several televisions located throughout the main cabin. Since I sat in the first row of economy, I could actually see the screen. The headphone jack worked at my seat so I could listen to the programming (I had no control over what was shown). Unfortunately, the delay (discussed below) lasted so long I mowed through my downloaded Netflix shows before the end of the flight. The last movie we watched before landing was Julie & Julia, a surprisingly delightful movie. There was food and it was edible. The alcohol was complimentary and was drinkable. 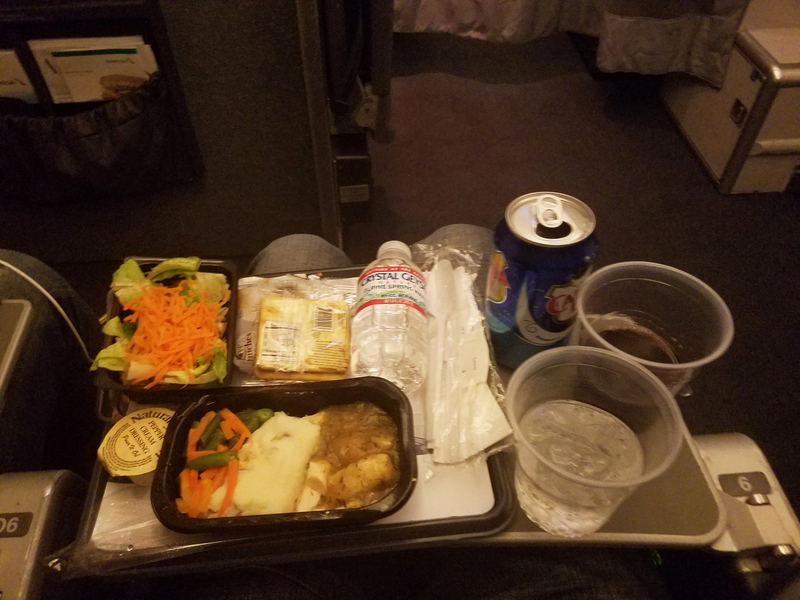 Salad, cracker, cheese, sparking water, red wine, mashed potatoes, turkey or chicken (it tasted like chicken), and vegetables. The crackers are covering the dessert. Operational issues are becoming way too common on American Airlines flights these days (e.g., I was stuck in Chicago on Christmas Eve). We were delayed by over three hours which significantly reduced my layover in Amsterdam–I still went into the city to check it out. The delay began when we waited for passengers who were delayed by storms in the Mid-West. Fine. The passengers then boarded the plane and we were told our flight was again delayed to load luggage for the late passenger. Fine. After the luggage was loaded, we waited another hour for the ground crew to load cargo. Not fine. 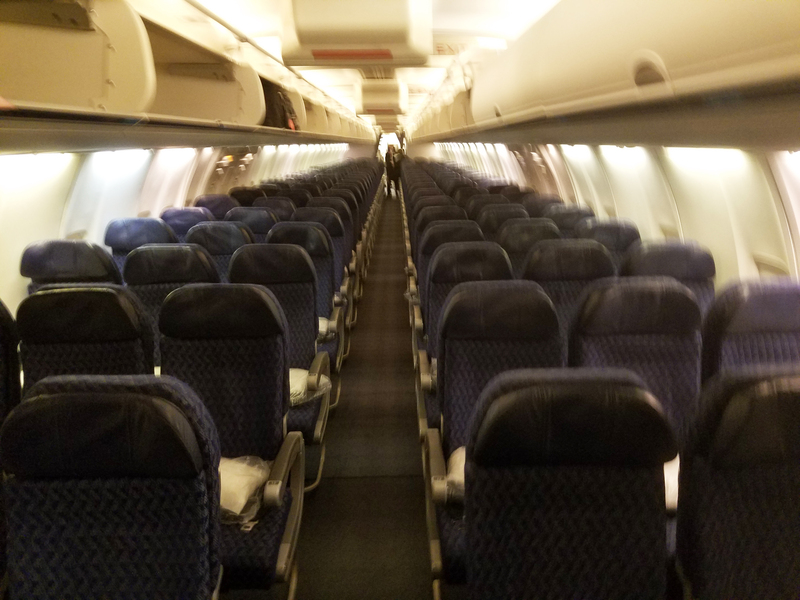 The pilot and flight crew were not happy about the situation and explained that it was “inexcusable.” To make matters worse, the guy loading the cargo left to load another plane before he finished loading ours. Taking a break eh? The packages were eventually loaded on our plane and we departed 3 hours behind schedule. I have not yet called American Airlines to complain, but I expect they will offer me 5-8,000 miles for the inconvenience. 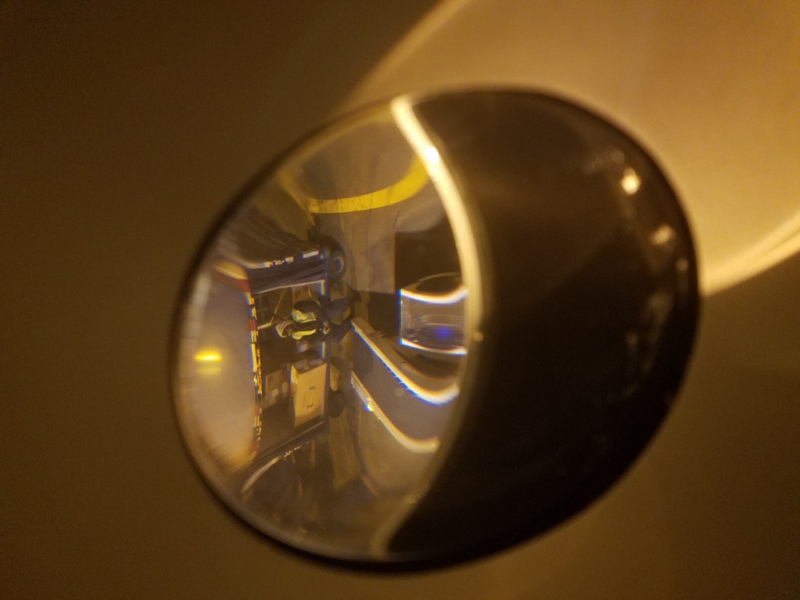 Avoid the American Airlines 757-200 if at all possible. I prefer the American Airlines 777-200 and 777-300 for international flights, both of which have significantly newer cabins. 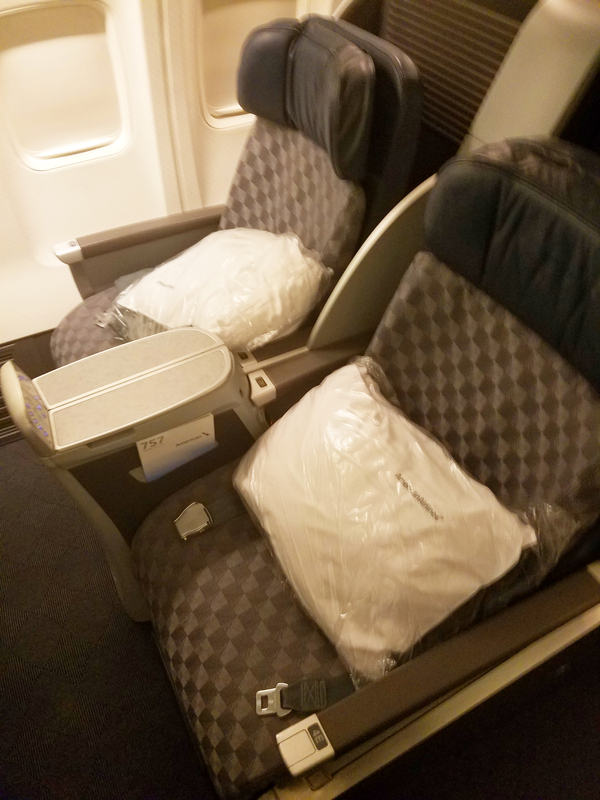 Be the first to comment on "American Airlines 757-200 Review (Economy) – ‘Twas Still the Worst of Times"